From the initial formation of a business through a full range of business related services, Matthew Berger, founder and principal attorney of the Matthew I. Berger Law Group, brings his wealth of knowledge and experience acquired from over 38 years of handling cases and business transactions for prominent area clients. Matthew is the chair of the California Lawyers Association's Entertainment and Sports Interest Group in the Intellectual Property section, a member of the Advisory Committee for the Santa Barbara Community College (SBCC) Scheinfeld Center for Entrepreneurship and Innovation, and is a member of the Rotary Club of Carpinteria. Matthew formerly served on the Board of Director's of the Women's Economic Venture's (WEV) in Santa Barbara and Ventura, as Vice President, Treasurer, and head of the Finance Committee; and on the Executive Committee of the California State Bar Intellectual Property Section. He regularly speaks in WEV's Self Employment Training (SET), Business Plan Intensive (BPI), and Thrive in Five (TN5) programs. 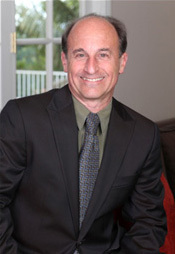 Matthew also is a member of the Santa Barbara group of Provisors, an organization of trusted advisors throughout the United States, and was named a Top Rated Lawyer by SuperLawyers.com for 2019. Matthew has served a diverse range of clientele, acts as outside general counsel for start ups, small, medium, and maturing companies, and loves working with entrepreneurs and other individuals. He has handled a variety of matters, such as copyright and trademark applications; various corporate and shareholder disputes and litigation; venture funding; sales of LLC economic interests and dissociations of partners; dissolution of corporations with dissident shareholders; and litigation related to copyright and trademark infringement, breaches of contract, breaches of fiduciary duties, trade secret protection, and employment-related matters. One of Matthew's favorite areas in which to work is in the entertainment and multi-media world, and he represents clients in the film, publishing, interactive, music, television, eCommerce, and digital worlds, as well as relative to their merchandise endeavors. Matthew is the chair of the California Lawyers Association Intellectual Property Section Entertainment and Sports Interest Group, a member of the Advisory Committee for the Santa Barbara Community College (SBCC) Scheinfeld Center for Entrepreneurship and Innovation, and is a member of the Rotary Club of Carpinteria. Matthew formerly served on the Board of Director's of the Women's Economic Venture's (WEV) in Santa Barbara and Ventura, as Vice President, Treasurer, and head of the Finance Committee; and on the Executive Committee of the California State Bar Intellectual Property Section. He regularly speaks in WEV's Self Employment Training (SET), Business Plan Intensive (BPI), and Thrive in Five (TN5) programs. Matthew also is a member of the Santa Barbara group of Provisors, an organization of trusted advisors throughout the United States. Matthew is a founding member of the Brewery Boyz, a classic rock, country, and blues band in Carpinteria. The world we have made as a result of a level of thinking we have done thus far creates problems we cannot solve at the same level at which we created them.